Spring has arrived in Charlotte, and that means spring youth sports are in full swing. Many adults also will find themselves outdoors participating in sports, too. Whether you are participating in organized sports or recreational fun on the weekends, a mouth guard is a wise investment to protect your smile. Mouth guards act as a protective shield between your teeth, lips, cheeks and jaws, reducing the chance of injury to the face and teeth. There are three types of mouth guards on the market. Each have pros and cons to consider when making a choice for what’s right for you or your child. Are ready to wear. They are bulky and inexpensive but may not fit as well and can restrict talking. Are sold at many sporting goods stores. Before wearing, these mouth guards must be boiled in water and then placed in the mouth to make a mold of the mouth. Are specially made by dentists or cosmetic dentists to fit the unique shape of your mouth. These mouth guards are more expensive but usually provide the best fit. If you have any questions about mouth guards, please contact Dr. Michael Gross at Inspiring Smiles Dentistry of Charlotte. Here are six important things to know about mouth guard care and handling. Kids and adults need mouth guards. A blow to the face can cause damage at any age. A mouth guard protects teeth, gums, soft tissue in the mouth and the tongue from injury. A properly fitted mouth guard is essential for people with braces or fixed bridgework. A hit to the face can damage braces and other orthodontic appliances and cause cuts on the mouth, lips and cheeks. Practice proper cleaning. Rinse mouth guards before and after each use and/or brush with a toothbrush and toothpaste. From time to time, you need to wash your mouthguard in cold, soapy water and rinse thoroughly. Store mouth guards in a sturdy container with vents. Allow mouth guards to air out and dry between use. Without proper ventilation, the moisture can be a breeding ground for bacteria. Discard cracked mouth guards. 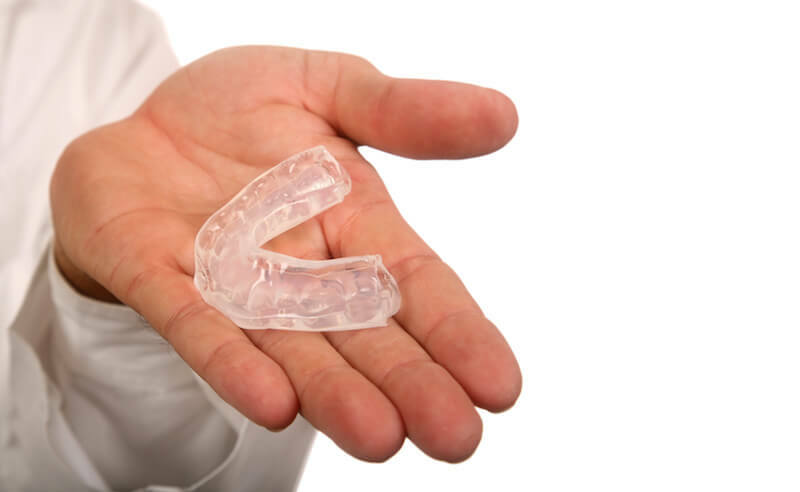 A damaged mouth guard does not provide optimal protection for your mouth. Don’t leave mouth guards in the sun or hot water. Excessive heat can warp the mouthguard making it not fit as securely.